Vacant space is managed and marketed by our partner organisation London Clancy. The council also owns vacant development land within its commercial estates of Jays Close, Viables and Basing View. 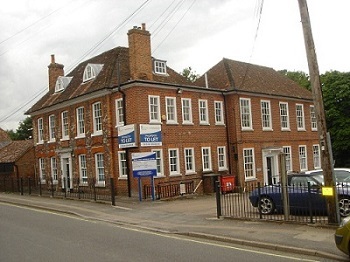 The council is working with Muse Developments to promote the regeneration of the Basing View. For further information please contact Property Services on 01256 845329. A Grade 2 listed building, with access to broadband, shared kitchen and communal toilet facilities. There is ample parking available and 24/7 unrestricted access. The property is situated close to the centre of the village of Kingsclere, approximately halfway between Newbury and Basingstoke. Located close to Basingstoke Town Centre, a few minutes walk away from Festival Place and The Malls shopping centres. Also nearby are the train and bus stations. The development is a mixed use business centre of individual and complementary businesses. 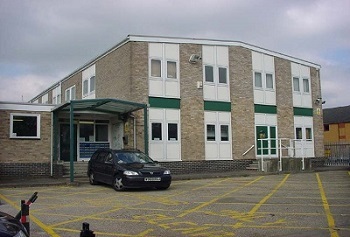 This office space is located to the rear of the scheme on the first floor. It is a self-contained office with access to toilet facilities located off the central corridor. View Room 18 full property details. Situated approximately two miles from Basingstoke Town Centre and a few minutes drive from the ring road. Junction 6 of the M3 is approximately five minutes by car and the main line railway station is approximately two miles away. The Beresford Centre is a mixed use business centre of 21 workshop units and eight offices. Units 24 to 28 are individual first floor offices and are available individually or as a whole. Units from 307 sq ft. (28.52 sq m) to 415 sq.ft (38.55 sq m) totalling 1967sq ft. (182.73 sq m). View units 24 to 28 full property details. The council has repair and maintenance responsibilities for many of the buildings it owns. Repairs and maintenance enquiries for these buildings should be reported by completing the Property Maintenance online form. Once reported you will receive an acknowledgement. If the issue is a genuine emergency, such as a potential health and safety issue, please call 0300 303 3052. View a list of what is classed as an emergency repair.